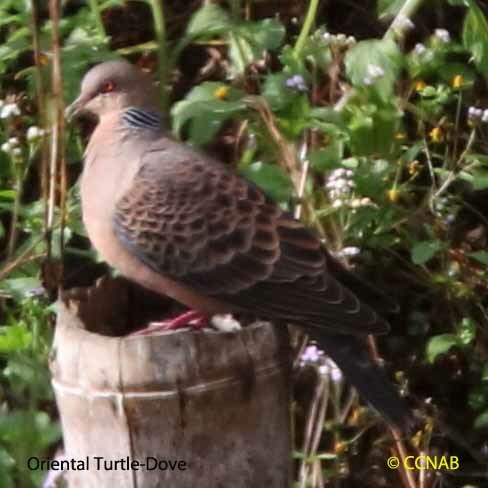 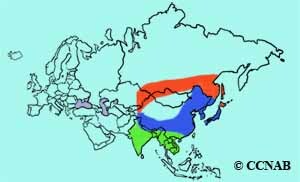 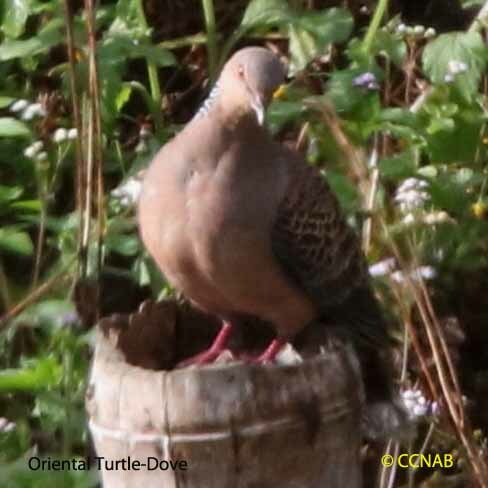 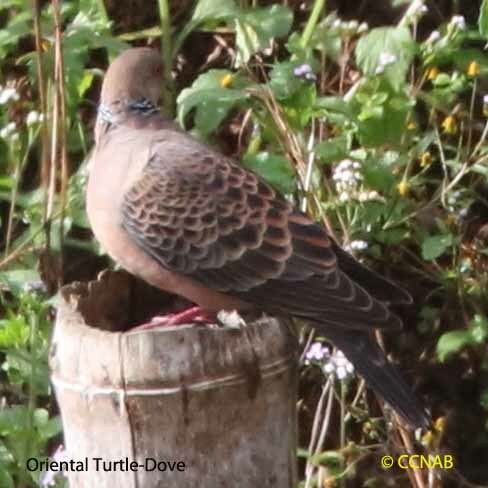 The Oriental Turtle-Dove is a vagrant visitor from Asia to North America. 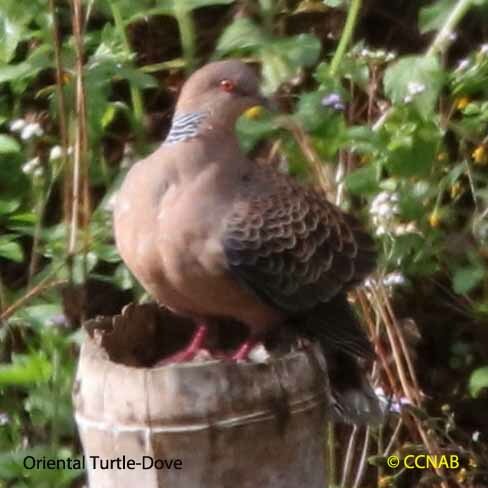 This attractive dove is easily recognized by the black lines on large white patches seen on the sides of the neck of these birds. 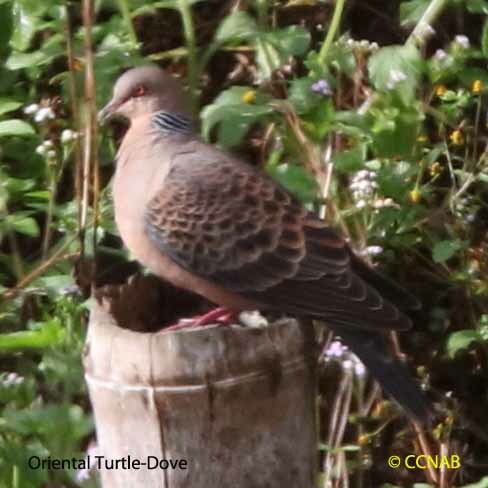 They are more likely to be seen in areas of forest mountains, maybe along cleared farm fields.